Designer Syna’s pieces aren't just gorgeous fashion accessories. 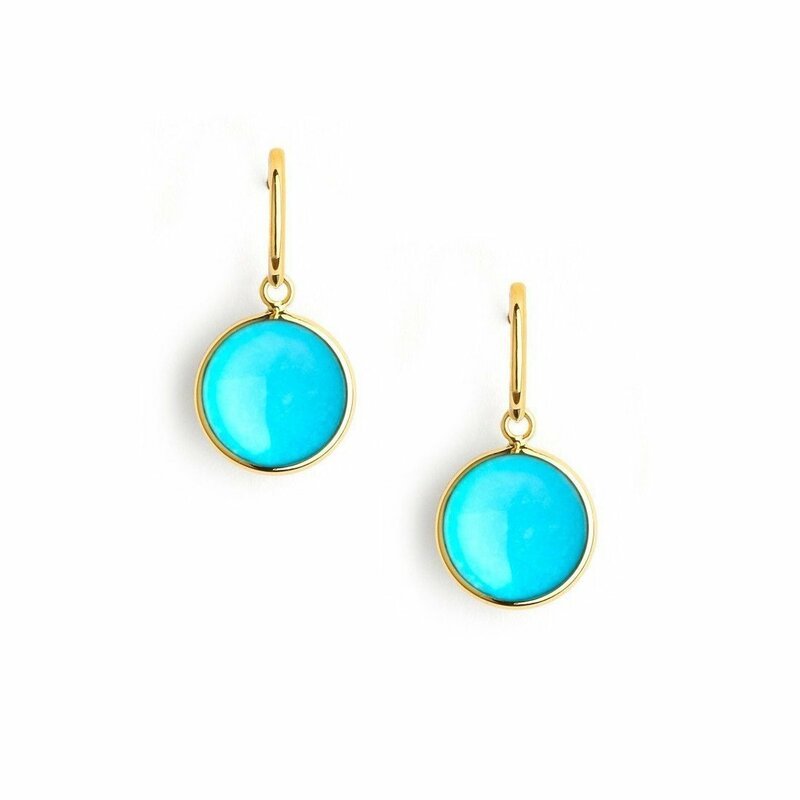 These earrings are crafted using a crisp turquoise gemstone which aids harmonious sleep cycles. Connect your body and soul to the world with Syna's magical chakra earrings. 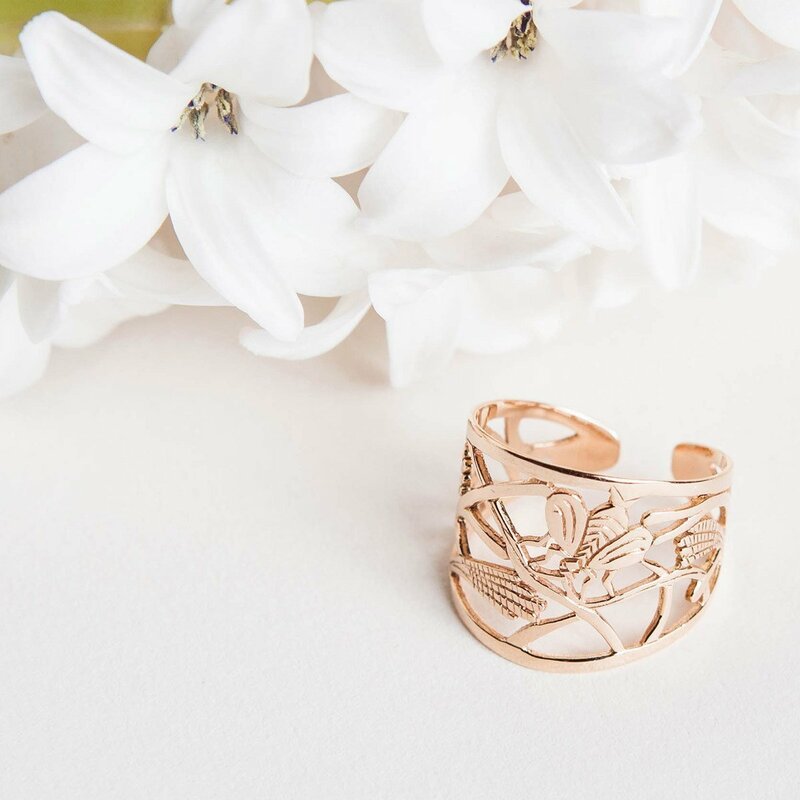 Let your energy flow freely through your body with Tiny-Om's Mother Earth Ring. Inspired by the beauty of nature, this hand-carved ring will connect you to the Earth and allow your chakras to connect freely. 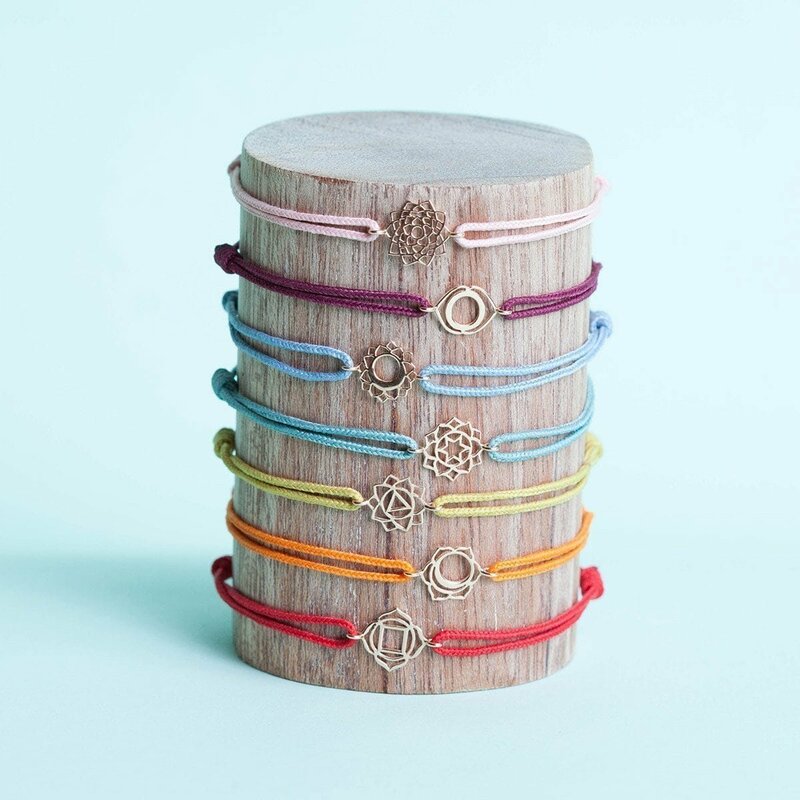 Head designer of Tiny-Om, Virginie Dreyer, infuses each piece she creates with spiritual meaning. Feel the power of Mother Earth with this beautiful 18kt gold design. These Thea Earrings by Enji Studio Jewelry are a one of a kind piece. The striking rutilated quartz gems are mined from the Pyramid mine in Bahia, Brazil. This mining community really stands out not just for ethical labour and gem cutting practices, but also the owner's vision to transform it into an organic farming and ecotourism destination as well. The 14kt yellow gold enhances the unusual patterns within the gems. 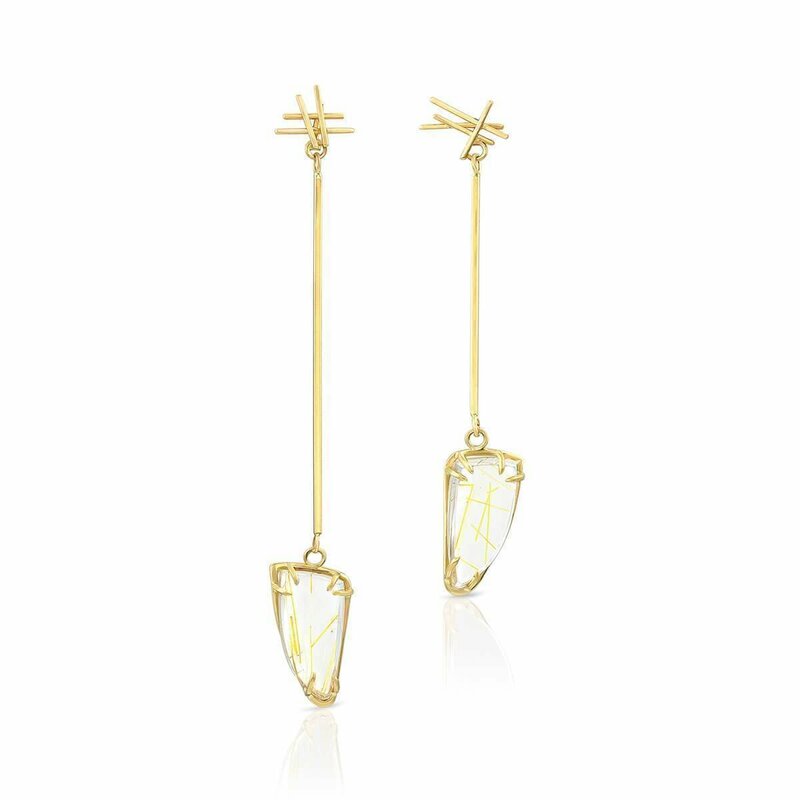 Champion good ethical practices with these earrings. You won't just feel great on the outside, but feel even better within. Ethical integrity is at the heart of Oria Jewellery. 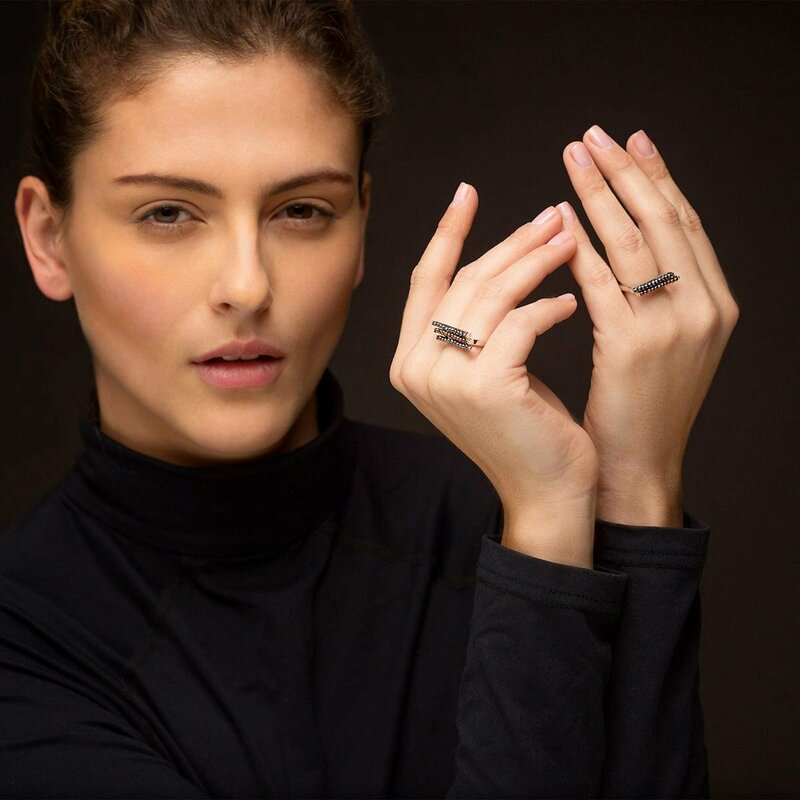 Lead designer, Synnove Saelthun created her brand to champion good ethical practices within the jewellery industry. All of her materials are either recycled or sourced from Fair Trade sellers. 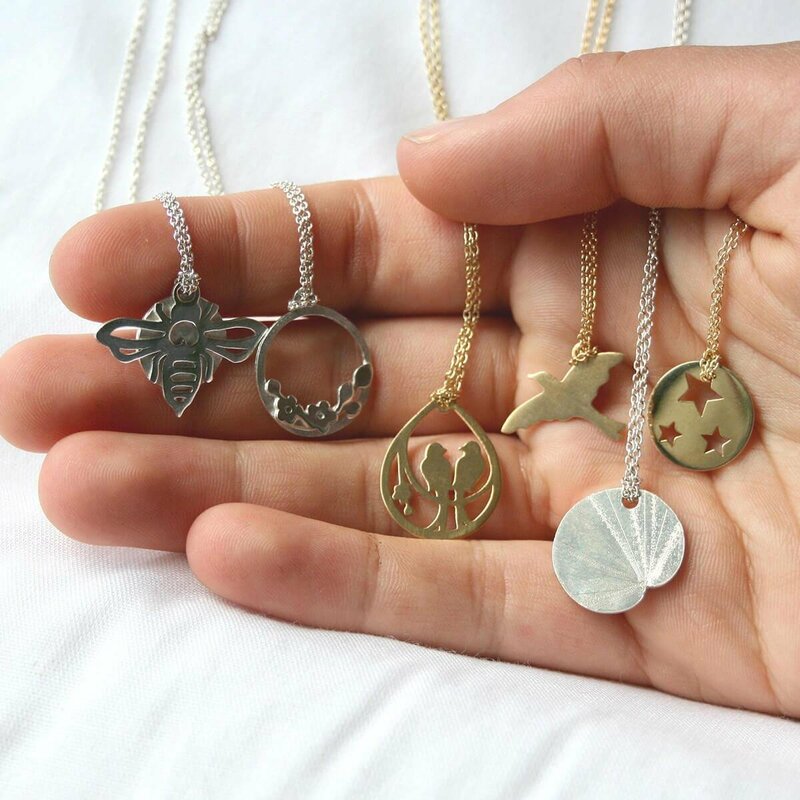 Oria Jewellery also works alongside charities to prevent cruelty against humans. When purchasing this necklace, not only will you receive a beautiful handmade necklace, but you will also be aiding the welfare of individuals and saving the planet. Each star sign has it's own unique constellation of stars and planet. 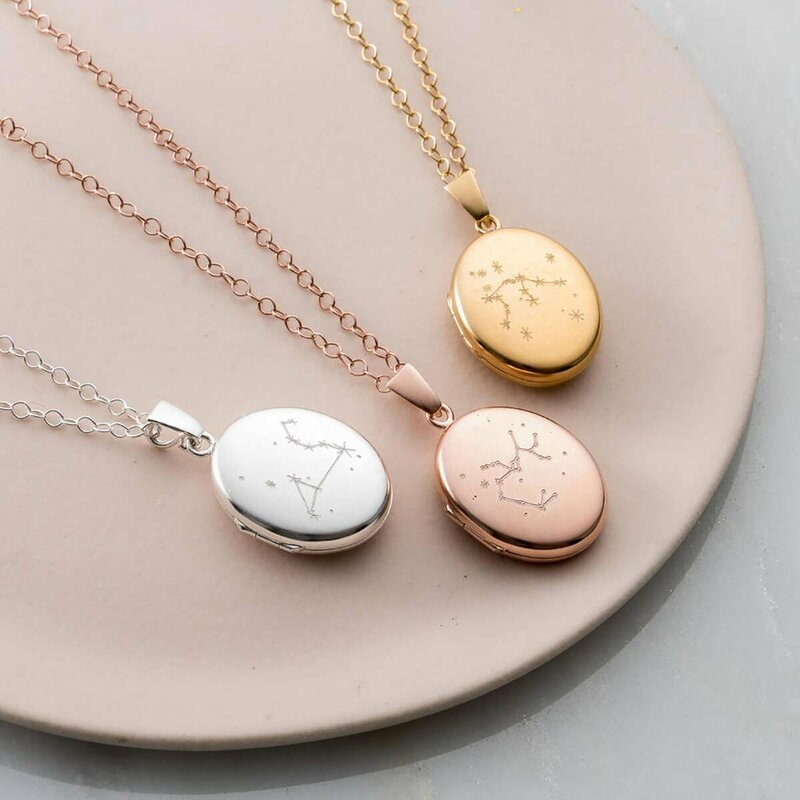 Discover how your identity is written in the stars with Alison Fern's Lucky Zodiac Pendant Necklace. This piece would make a great gift for someone special. 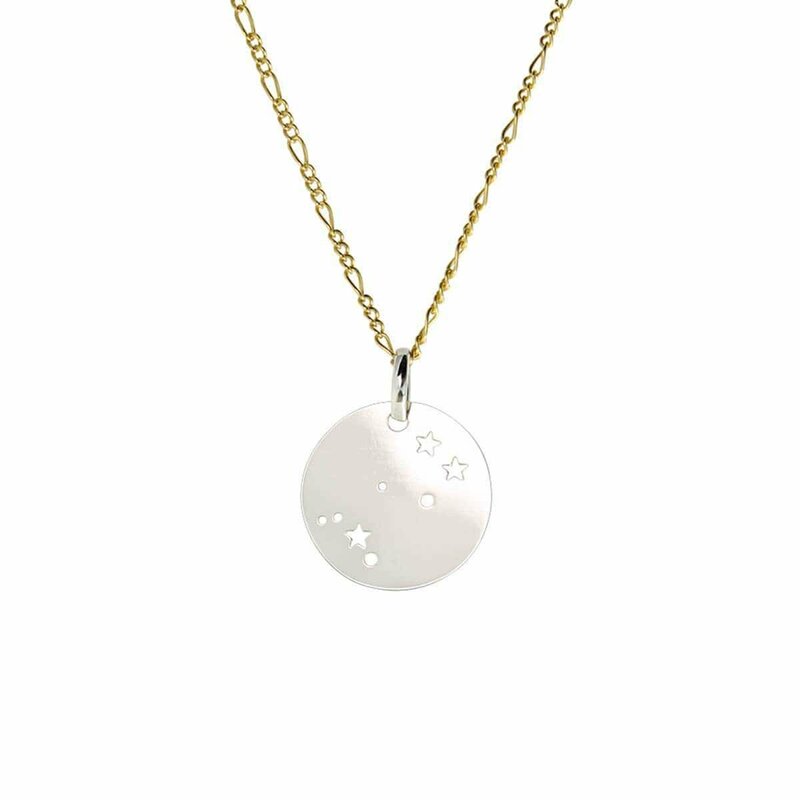 The luxurious balance between the warm 14kt Yellow Gold and the cool sterling silver will add some cosmic magic into your ensemble. This plated Sterling Silver 925 Ring contains a glamorous array of black and copper Hematite gemstones. The ancient astrological symbolism paired with the modern geometric design forms a fashion-forward piece to dazzle under the night sky. Faystone believes that jewellery tells a story, so be bold and write your own narrative with this unusual piece.